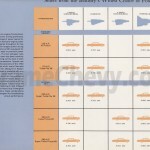 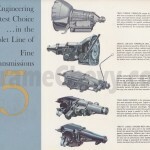 The Power Teams section of this book describes the engine and transmission options available for all full-size Chevrolet passenger cars for 1960. 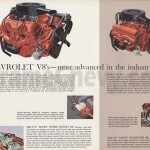 Engine options include variations of the 348 cubic inch Turbo-Thrust series, the 283 cubic inch Turb-Fire series and the 235 cubic inch Hi-Thrift 6 cylinder series. 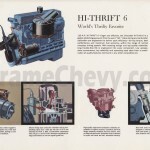 Transmission options include the Turboglide, Powerglide, 4-speed, 3-speed with overdrive, and the standard 3-speed.